We went to WolfCon 2018 in Amsterdam. WolfCon is a "Teen Wolf" convention, organized by the Con Factory. On Friday, we attended the press event. A boat trip on the beautiful canals of Amsterdam! During the boat trip, we got the chance to do interviews with some of the actors (Ryan Kelley, Max Carver and Andrew Matarazzo). During the event of WolfCon, we saw the actors a lot as well. 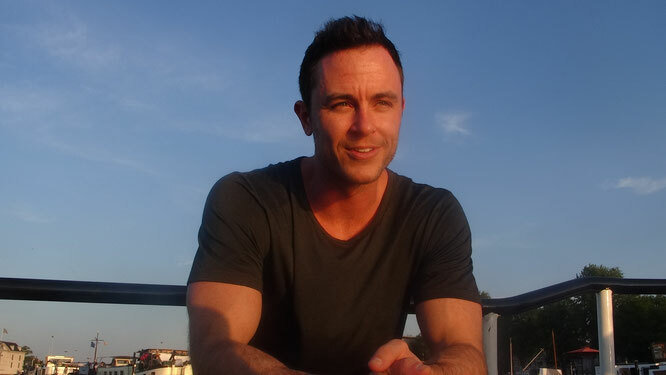 Are you ready to watch our interview with actor Ryan Kelley and read about Ryan at WolfCon? Then sit back an relax and get on board with us! Ryan Kelley joined the cast of "Teen Wolf" as an actor as from season 3 as Stilinski's new deputy. In "Teen Wolf", he has a pretty amazing story line full of surprises! Who doesn't like Deputy Jordan Parrish? On the boat trip in Amsterdam we asked Ryan a lot of questions about his career, "Teen Wolf", other projects and way more! Check it out in the video below! We really enjoyed doing the interview with Ryan Kelley. As you can see, he cares a lot about his fans. He's really enthusiastic and easy to talk to. We loved meeting him again and being able to have this interview. Last year, we also saw him at Wolfcon and did a photo op. Want to read about that? Check out our 'Meeting Ryan' article. 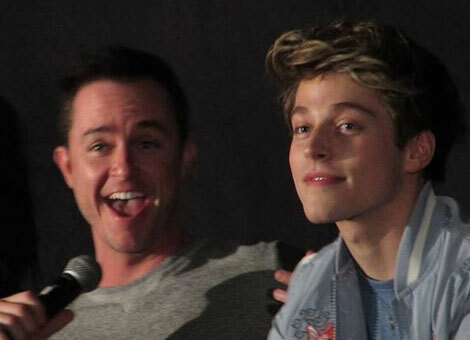 After talking to Ryan Kelley on the boat, of course we also watched his panels at Wolfcon! He joined the group panels, did a raffle and Ryan & Max had a panel together as well. Max & Ryan played the "hat game" during their panel. They talked about how they play it with the cast of "Teen Wolf" and it always takes people a lot of time to find out how the games works. Well, I didn't get it as well at the beginning. But now I know how the game works. It was fun to see them play the game on stage and see people join in on it and try to figure out how the game worked. They were a great duo on stage and incredibly funny. If Ryan Kelley needed to pick a few songs to hear the rest of his life, he would choose Disney songs: Hakuna Matata and a song from Moana. About tattoos, Ryan says he likes them. But he can't commit. He changes his mind to often to really pick something he would want to have tattooed. Ryan has been mistaken for Colton Haynes sometimes. If people mistake him for Colton and ask him for a signature, he just signs as Colton. He enjoyed working with Linden Ashby (Noah Stilinki) on "Teen Wolf". As for characters on "Teen Wolf", he can relate the most to a combination of Scott & Stiles. He likes Malia's personality. We loved meeting Ryan Kelley again! How was your Wolfcon experience? Share it with us in the comments! Want to read more about Wolfcon? Check out our Wolfcon 2018 page!